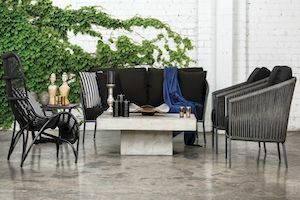 The Amalfi 2 Seat Sofa Set brings the 21st-century style to outdoor furniture, but with the timeless comfort of Maze Rattan sofa sets. 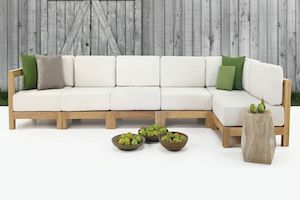 The deep-set seats provide hours of lasting comfort and will make your garden the envy of all our friends. 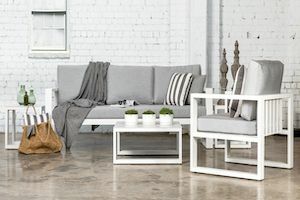 With a two seat sofa, two armchairs, and a slatted coffee table, this complete set is everything you need to entertain guests over the summer months. For a slightly larger set, be sure to check out the three seat model. We're excited to introduce the new Amalfi range this year; a fantastic new aluminium range. Thanks to the modern design and clean lines, any piece will instantly give your garden the contemporary look you're after. 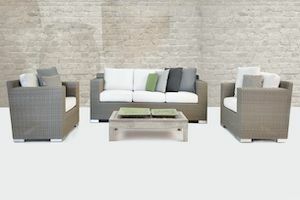 Choose between a white or black aluminium frame, with complimenting cushions. We recommend storing cushions inside overnight. 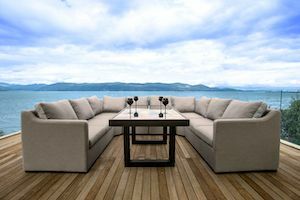 As with all Maze Rattan products, it is made from the highest quality material, woven onto a powder coated aluminium frame that ensures its use all year even through the harshest weather. This product comes with a 12-month manufacturer's guarantee.